Readers: As of 1/1/18, this promotion has expired. Hot news! Purchase Zimbra Professional Edition Perpetual mailboxes from XMission by the end of the December 2017 and save 10% on 25-75 mailboxes and more on orders above 100 mailboxes! This end-of-year savings from XMission makes it the perfect time to upgrade from your Zimbra Open Source server to Network Edition, update that aging Microsoft Exchange server, or dump your other limited feature Open Source email software. Retail rate per mailbox is $63.00, with the discount $57.60. That means licensing with one year of Premier support would be $1811.25 and with Standard support just $1732.50. Each year thereafter your cost for Zimbra would be $393.75 for your Premier support agreement and just $315 for a Standard support agreement. Zimbra support agreements include software assurance, so you can be confident your email software will always be up to date with the lates upgrades and security patches. 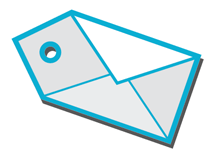 Orders over 100 mailboxes qualify for additional discounts. Remember: This licensing promotion expires December 28th! Fine Print: Discount applies on Perpetual purchase of Professional Edition mailbox licensing only. Requires Premiere support agreement. Subscription services, support agreements, and renewals do not qualify for this discount. Invoices must be paid by the 28th. Lingo: A quick explanation of licensing and mailbox features. Perpetual license = A license you purchase one-time and own. Professional Edition Mailbox = A mailbox license is an account with a physical email inbox and typically belongs to one person. Professional Edition supports all the expected items such as Email, Calendars, Contacts, Tasks, and Briefcase, PLUS you get the big ticket items such as Zimbra Connector for Outlook, ActiveSync, Archive & Discovery, as well as Litigation Hold.